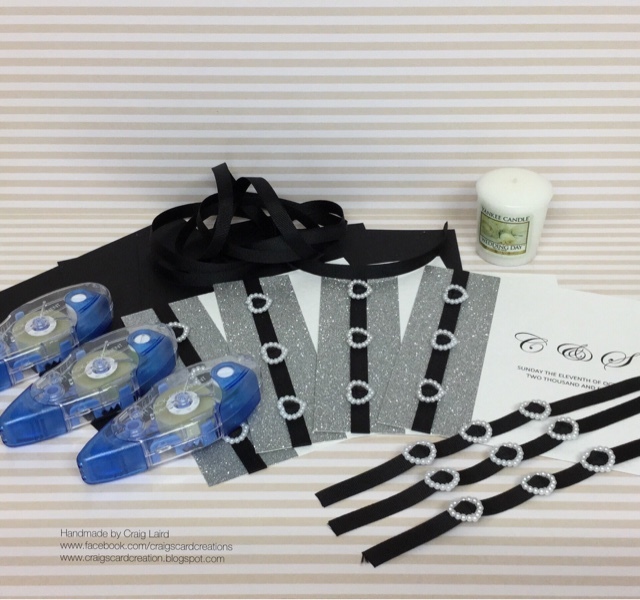 Crafting With Craig: Wedding Invitations Featuring Stix2. 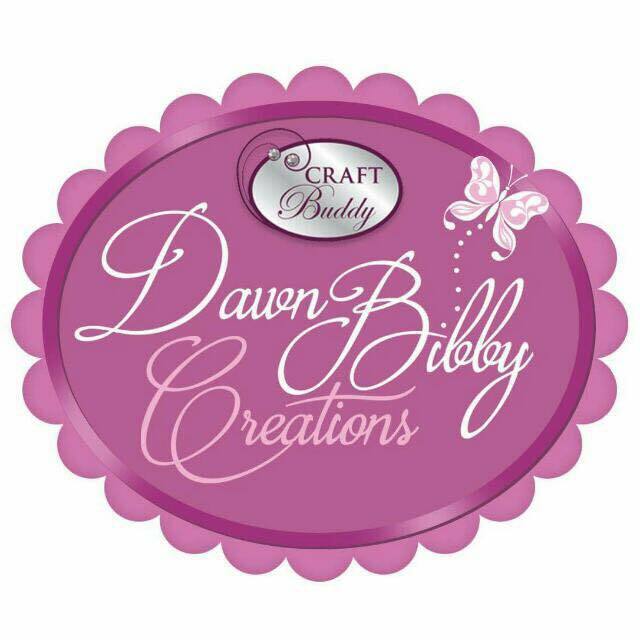 When it comes to paper crafting, I spend a lot of my times using collections from companies such as Hunkydory Crafts, or using metal dies from Sue Wilson, Tattered Lace, Spellbinders or even Tonic Studios. I like to make scrapbook pages to help keep the memories alive of times or occasions that Iv celebrated or enjoyed but what I had never done before was make invites or more specifically Wedding Invites. 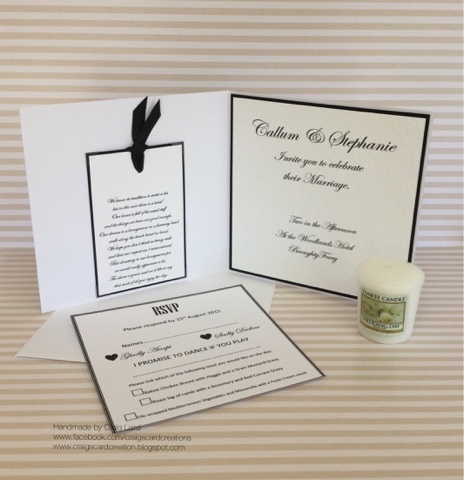 Then a friend of mine Stephanie Chalmers came to me with some ideas she had for her and her husband to be Callum's wedding invitations and asked if I would be interested in making their invitations for them. This was very exciting and such an honour because not only had Steph asked me to make invitations for what will be one of her and Callum's most special days of their lives but Steph knew I had never made invitations before but she still came to me and they both put their trust into me too. They trusted me to come up with an invitation style that could match or come close to what they had imagined in their minds. This can be very daunting as what I come up with and create is one of the first parts of Steph & Cullums wedding that their friends and family will see. To create not just elegance but also excitement in one invitation isn't always easy, actually it's never easy but to also ensure this is carried through into ever single invitation is very hard. One thing in life that can be hard to work through is repetitiveness. This goes for anything when your doing the same thing over and over again. This can make energy levels dip. So when your making invitations and in this case it was 40, I had to make sure I was on the ball and that my energy stayed on level. I know this sounds silly as to some people, I'm "only" cutting car stock. The 40th invitation has to be the very same as the first one. When it comes to certain things in life you may be able to not necessaries cut corners but work slightly different to make what your doing faster without jeopardising the finished product. However when it comes to invitations such as something so special as wedding, "cutting corners" so to speak is simply out the question. Handmade is very on trend and people love to see handmade but that being said, you still want all 40 invitations to be identical. You cant have card stock cut straight and matted and layered perfectly on 37 invites and the other 3 are wonky because your energy level dipped and just wanted to get them completed very quick. Something such as invites or anything your making in batch has to be worked on in my opinion as and when your body and mind are 100% focused on them. This is when you know for sure that you will hand make 40 identical invitation, from the layout, the fonts, the ribbon etc. For Steph & Callum's invitations there was 3 elements. You had the invitations themselves but there was also the insert that had all the details for the big day. After creating the look of the insert which was the easy part, the hard part believe it or not was printing them. To print onto such a small piece of paper isn't as easy as it sounds. Because of the size, 90% of the inserts would print at an angle because of the way the card is fed through the printer. So because of this I had to cut them to make sure not only were they straight but each and ever insert was the same size. There was many many times where I would be trimming literally 1mm strip of a single insert over and over again until I had the insert to the right size. Doing that at least another 30-35 times was one of those situations where I couldn't let my energy or focus drop or let my frustrations get the better of me. One solution for this was to print the insert onto A5 card stock then trim to size, this was made easier however there was the trouble of making sure that every insert that I done this way were all the same size. Once done, the matting onto the black card was the easy part. The 3rd element was the rsvp. There was similarly problems with these just like the inserts but it was made a lot easier having the black border where I had a solid line to follow when cutting. Doing all this was worth all the time spend on them. Many nights up till 2/3am working on them getting them right to the way Steph and Callum had imagined them to be but then to also meet my high standards. The top quality products used to create these invitation made making them easier and fun. Majority of the products used came from one of my favourite companies called Stix2 who helped me (& Steph and Callum) by supplying myself with all the products in their range that I needed to create the invitation, because of this, this helped to keep the cost down for Steph and Callum. 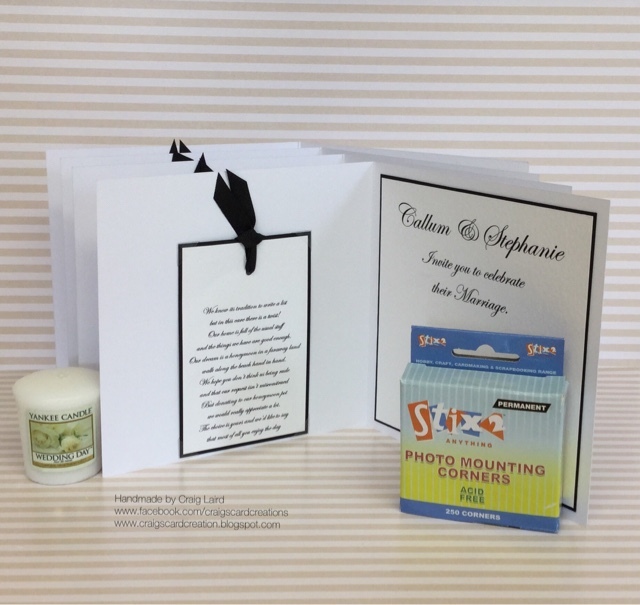 After speaking to Steph she had agreed that as a kind of thank you to Stix2 for supplying myself with the products I needed to create the invites, she allowed myself to post photos and details regarding her invites here on my blog and on my social media pages. This photo shows you the inside of the finished wedding invitation and the rsvp slip that was inserted into the envelope of the wedding invitation. 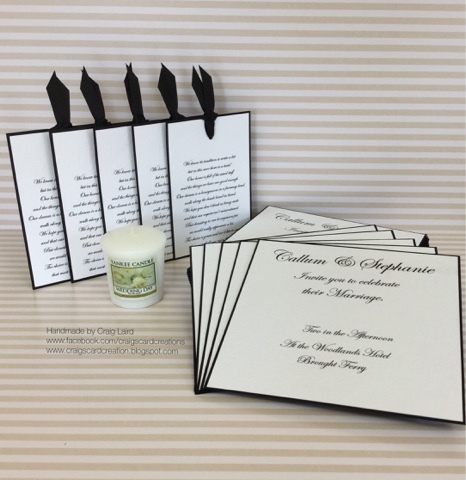 These photos above shows a collection of images of the invitations. It shows the invitations once assembled and the silver glitter card, textured ribbon, pearl heart ribbon sliders and the font used. The 2 photos above shows the invitations during them being created. 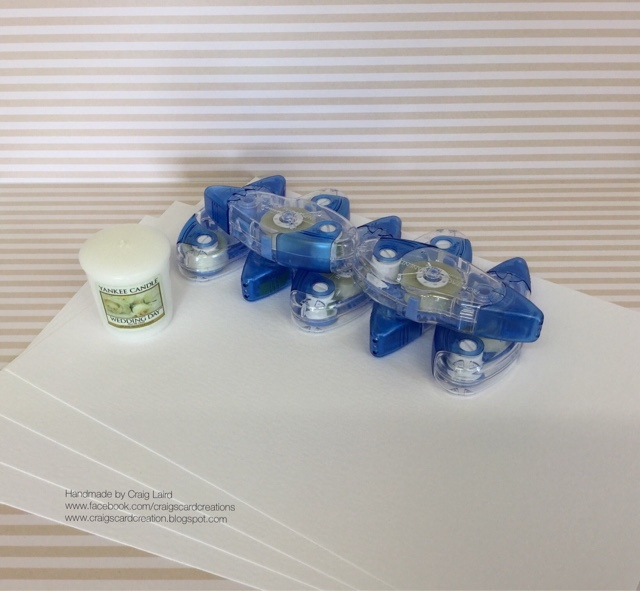 It's shows the the blue tape runners by Stix2 that I used to assemble all the parts of the invitations. Steph also wanted a poem to be on the inside of the wedding invitation. Instead of just sticking the poem inside, I thought I'd make it different by creating a tag and attach it to the inside of the invitation with Stix2 photo corners. This enable everyone who received an invitation to take out the poem and keep it on show instead of having the invitations out at all times. If you look close at the above photo, you can just see the texture of the A4 hammered card by Stix2. It also shows the blue tape runner I used to assemble the invitations. Although Stix2 are known for their adhesives, that's not all they produce. In their large range, they have a lovely smooth card blank range. For these invitation, I used their 6x6" card blanks. Each card blank pack comes with envelopes. Although that may sound obvious, not all companies supply the envelopes with their card blanks. The envelopes are a good few millimetres bigger on all 4 sides. This enables you to add extra dimension to the invitation or card you are creating and still fit perfectly in the envelope and not to tight. This is what will cause the card to buckle and also squash your design. The above pictures show the inserts of the invitation. 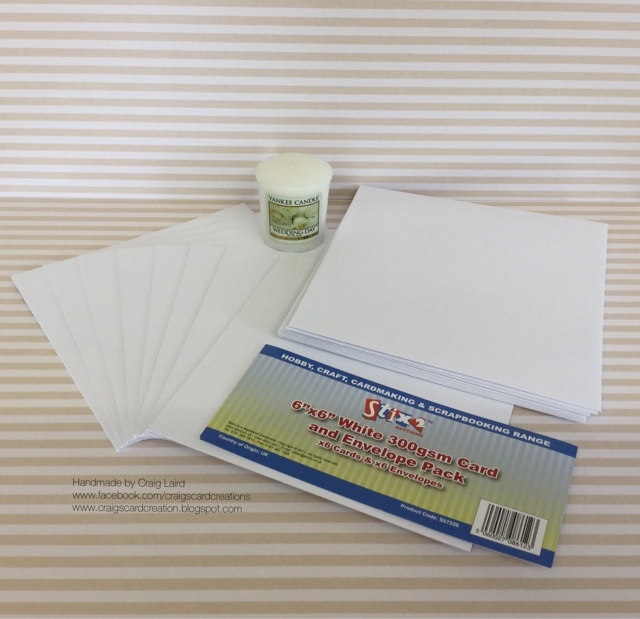 The inserts have been printed onto a very smooth & gorgeous white card stock by Bazzill Basics. If you couldn't tell by now, I love Bazzill Basics and use it a lot. 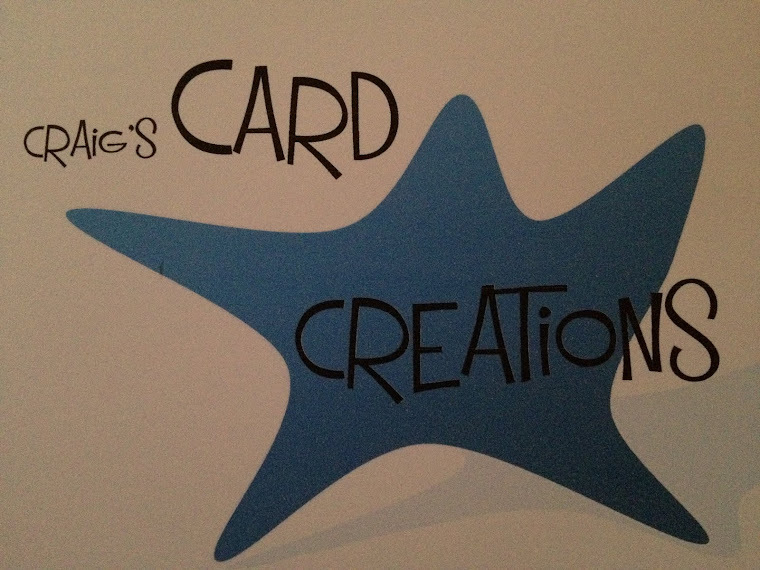 Don't just print onto smooth card stock. Card stock such as the White Hammered from Stix2 can be printed onto with no bother. This is exactly what I done with the front of the invitation. There is no spots or smudges because of the texture. The full detail of the text can be seen but it also gives you that luxurious feel. It has then been matted and layered onto Black Bazzill Basic card stock before matting onto the card blank inside. 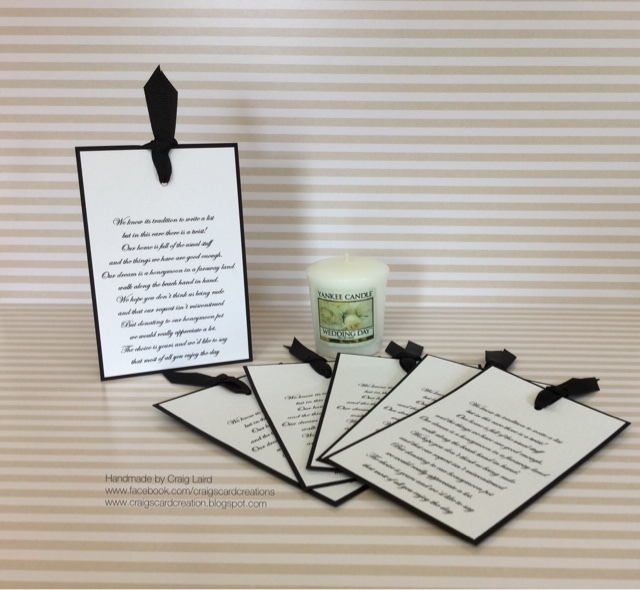 The poem that Steph had asked to have somewhere on or in the invitation has been typed and printed on to the White Hammered card stock by stix2. As I said above, although the card stock is textured, it still prints onto perfectly without any blemishes but it gives the poem and invitation that touch of luxurious luxury. They have been matted and layered on black card stock by Bazzill Basics. I punched a hole in the tops and fed some black texture ribbon through the top. It really has been a fun and enjoyable time creating these invitations for Steph and Callum. It's given me a taster of what is involved when when it comes to making invitations on a large/larger scale. It's taught me that I have to work differently when creating invitations compared to creating cards and what I would change when it comes to the way I work and create invitation on a batch scale. It can very different from making cards, scrapbook pages and other projects. So I think that's it, I hope you enjoyed seeing Steph and Callum's wedding invitations. Thank you to both Steph and Callum for given me the opportunity to make their wedding invitation, it has been a real joy and privilege to be part of the lead up to your big day. Also thank you for listening to my ideas and suggestions and allowing me to run with some of these ideas I had. Also thank you to Stix2 for everything you have done to help me when it came to the products I needed to make the invitation. Nothing was ever too much trouble. Wow! This is amazing. I have been given the responsibility of making the wedding invite for my brother’s wedding and I was searching for that only. 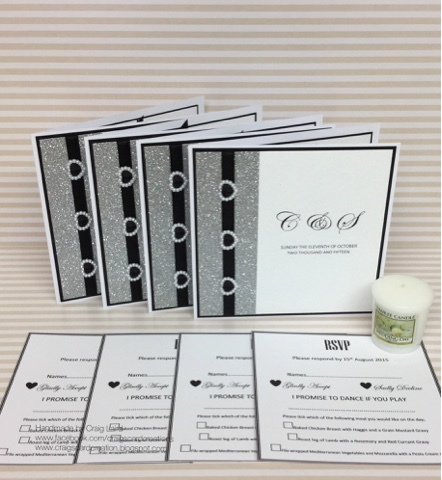 It was wonderful going through this post as I really liked these simple and cute invites. I do have time though. His wedding is by the end of this year in one of the Los Angeles venues.